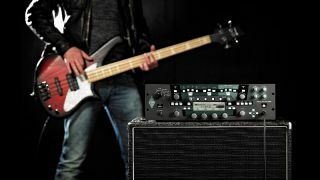 Muse's Chris Wolstenholme and session legend Pino Palladino are just two high-profile bass players already using Kemper's Profiling technology to create earth-shattering bass sounds, and the company today announced that its Profiler is to be officially "re-veiled" for bassists, with over 50 bass amp profiles onboard. Kemper says: "The Profiler now features numerous bass profiles in the factory rig content, including excellent direct profiles taken from the DI output of the bass amps. Additionally, of course players will like the mildly distorted profiles taken from tube-driven bass amps and speakers, captured by microphone. "In addition to the factory content, we have also released special rig packs containing excellent complete rigs for bass. These are available from the our download page. Players should also be sure to check out the Rig Exchange webpage to download rigs by other users, or even share their own." For live or rehearsal use, bassists are free to use almost any kind of cabinet for monitoring purposes, with or without virtual cabinet emulation, and with 600-watts at your disposal from the PowerHead and PowerRack, you shouldn't have any problems being heard. There are also a variety of effects and split output options if you need a dry DI signal, plus a 'Parallel Path' that allows you to preserve fundamental bass frequencies while dirtying things up as much as you like. Visit Kemper for the full rundown of the new, bass-friendly features.